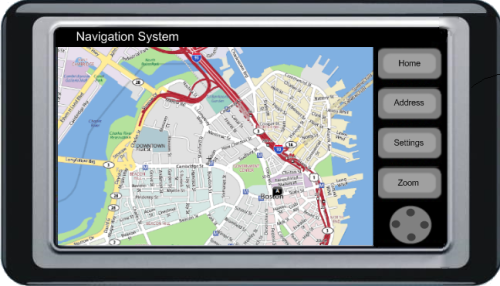 A modeling language based on User Interface concepts of a car infotainment system such as application, displays, buttons, and menus. 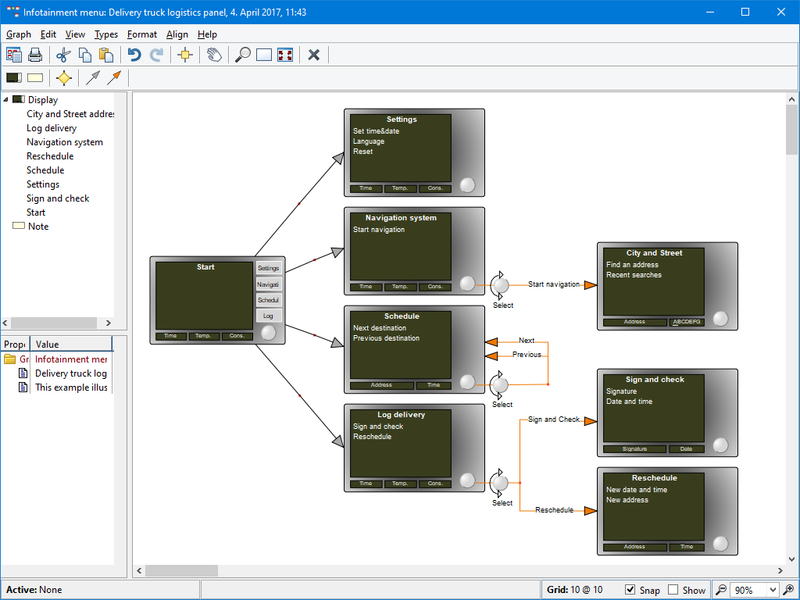 With these concepts the developer can design the logic and flow of the application via connecting the modeling concepts together. This solution allows usability experts and developers working on the same models and ultimately generate the HMI code. This not only automates development tasks but also improves communication, feedback and testability. The modeling language below illustrates the ability to create dynamic, interactive models which automatically update based on changes to their layout. This example is available in the evaluation version of MetaEdit+.